Story Time started on May 1st and we had a fun morning with more than 10 children enjoying favorite books such as Goodnight Moon, The Very Hungry Caterpillar and more! 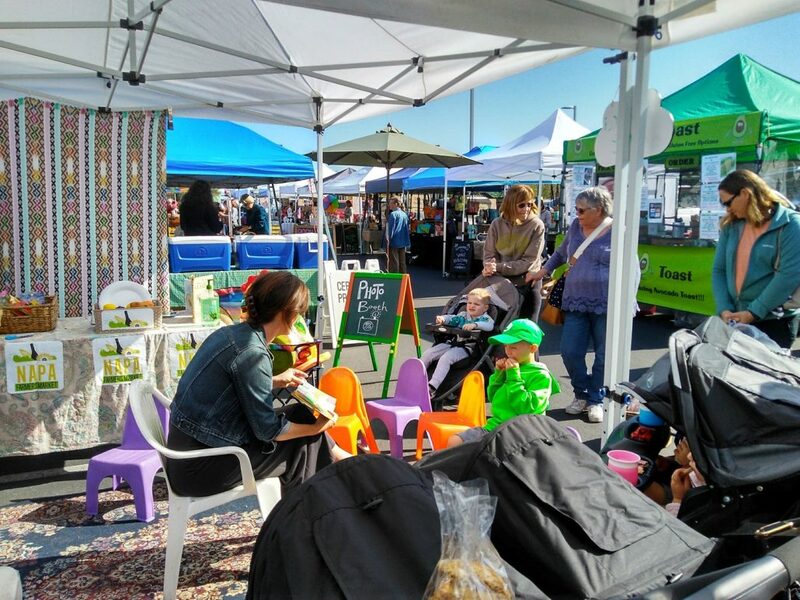 Story Time runs from 9:30 to 10 AM on Tuesdays and Saturdays and we invite you to stay for children’s activities afterward hosted by the Napa Farmers Market. If you would like to volunteer to read, please email Eva Simonsson at esimonsson@crcnapa.org and we will try to fit you into the full schedule!